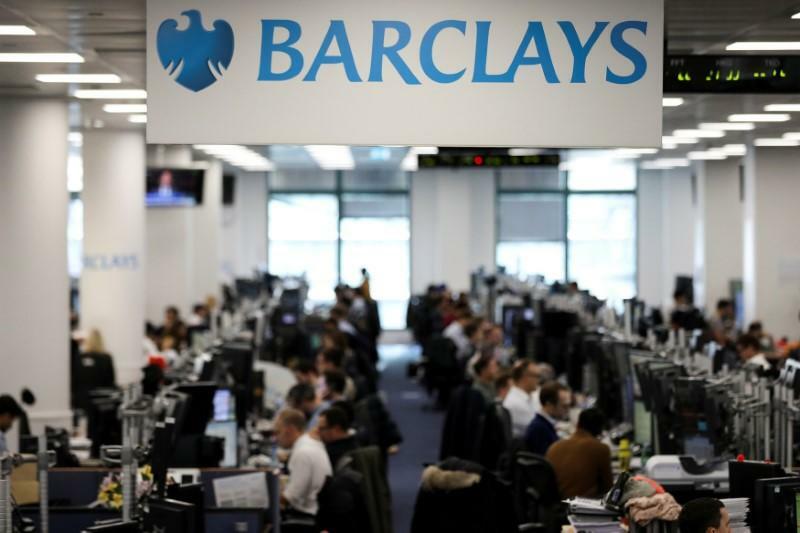 LONDON (Reuters) - Barclays is shifting some jobs in its London-based credit and equity derivatives sales teams to Paris as it reorganises its operations ahead of Brexit, two sources familiar with the matter said. Last month the bank warned staff in charge of credit and equity derivatives sales for the Nordics that their jobs would be relocated to Paris by the end of March, giving them just two months' notice, one of the sources said. The likelihood of a no-deal Brexit has increased substantially since British Prime Minister Theresa May's plan for maintaining ties with the EU was rejected on Jan. 15 by the UK parliament as well as by many politicians in her own Conservative Party. Many financial institutions have started putting Brexit contingency plans into action and moving staff to newly leased offices in Paris, Frankfurt, Dublin and other financial hubs on the continent. Bank of America said on Friday that it had begun relocating some jobs to Paris, with staff moving in to a new 11,000 square metre office in the eighth arrondissement, near the Elysee Palace. The French government has been actively seeking to convince banks to move jobs to Paris, introducing tax incentives and pledging to open more English-language schools for bankers' children. Barclays has made Ireland its main post-Brexit EU banking hub, and got court approval last week to move 190 billion euros ($215 billion) of assets from Britain to its Dublin subsidiary. A source familiar with the moves said only "a relatively small number of people" would relocate to Paris as well as other EU centres and that decisions had to be fast-tracked after Theresa May's historic defeat on her Brexit deal in Parliament on Jan. 15. Britain's financial services industry has so far emerged largely unscathed from the build-up to Brexit, with only about 2,000 roles expected to have moved or been created overseas even as the risk of a disorderly exit grows, a Reuters survey showed. Most bankers remain confident a compromise deal between Britain and the EU will be hammered out. They are waiting to see what will be agreed and what the relationship will be, before making any final decisions about relocations.